Dong Cunrui was born in Huailai county, Hebei province, in 1929. He joined the Eighth Route Army in July 1945 and later was appointed to be a squad leader of a unit. Dong joined the Communist Party of China in March 1947. 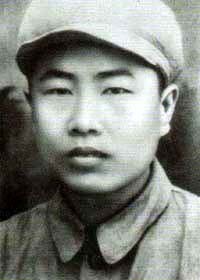 With mastery of military skills and intelligence and bravery in battlefield, he won three "Bravery Medals" and one "Mao Zedong Medal". His squad won the title of "Dong Cunrui Training Model Squad". 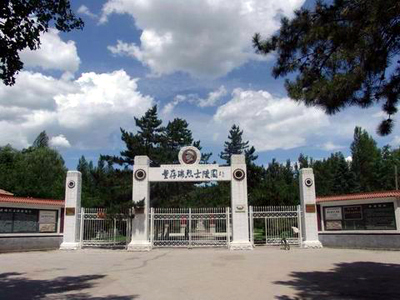 On May 25, 1948, the PLA troops triggered off the battle of assaulting Longhua city. The company that Dong Cunrui served in shouldered the task of attacking Kuomintang's garrison troops in Longhua Middle School. Dong, as head of the blasting group, led other comrades-in-arms to blow up four blockhouses and five fortifications in a row, thus successfully fulfilling the task. The troops were blocked in an opening area, then the second and fourth squads failed to blow up the hidden bunker for twice in a row. Then Dong came out boldly, carrying an explosive package and rushed towards the hidden bunker. But the hidden bridge bunker was higher than his height and both sides of the bridge had no place to put the explosive package, at that moment he lifted the explosive package by left hand and pulled the fuse by the right hand without hesitation, shouted, "for a new China, forward!" with the demolition of the bunker, Dong Cunrui sacrificed his 19-year-old life and opened a way for the troops.